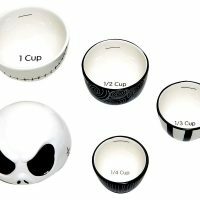 Every kitchen needs a set of measuring cups, but that doesn’t mean everyone needs the same boring stainless steel measuring cups most people have. 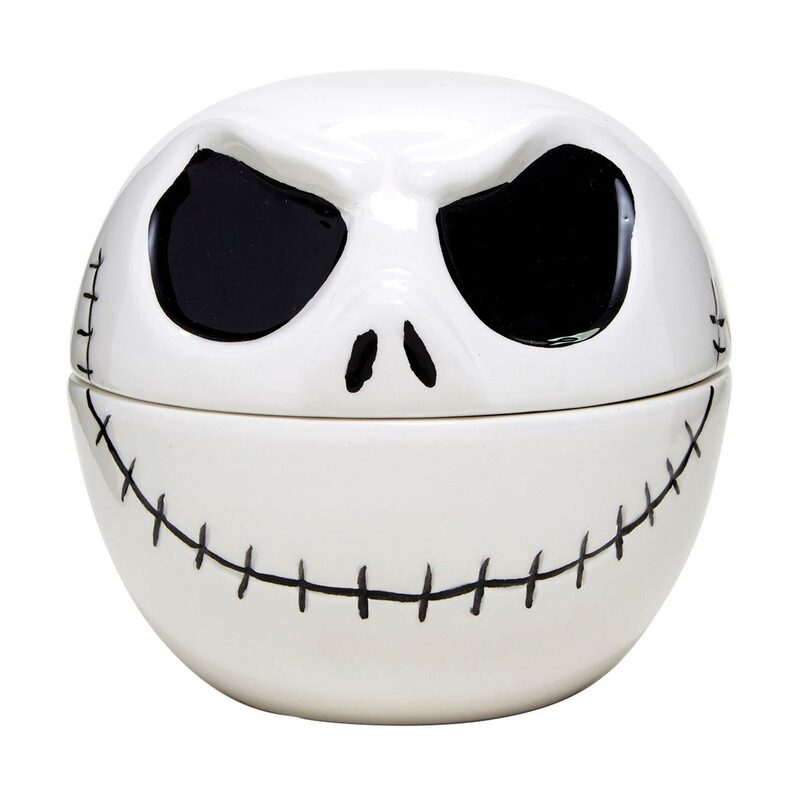 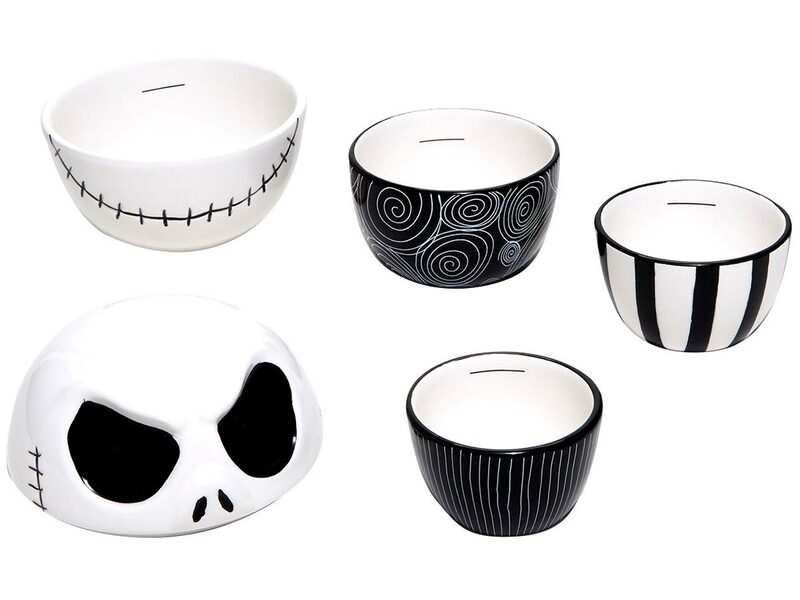 Instead, get these awesome The Nightmare Before Christmas Nesting Measuring Cups. 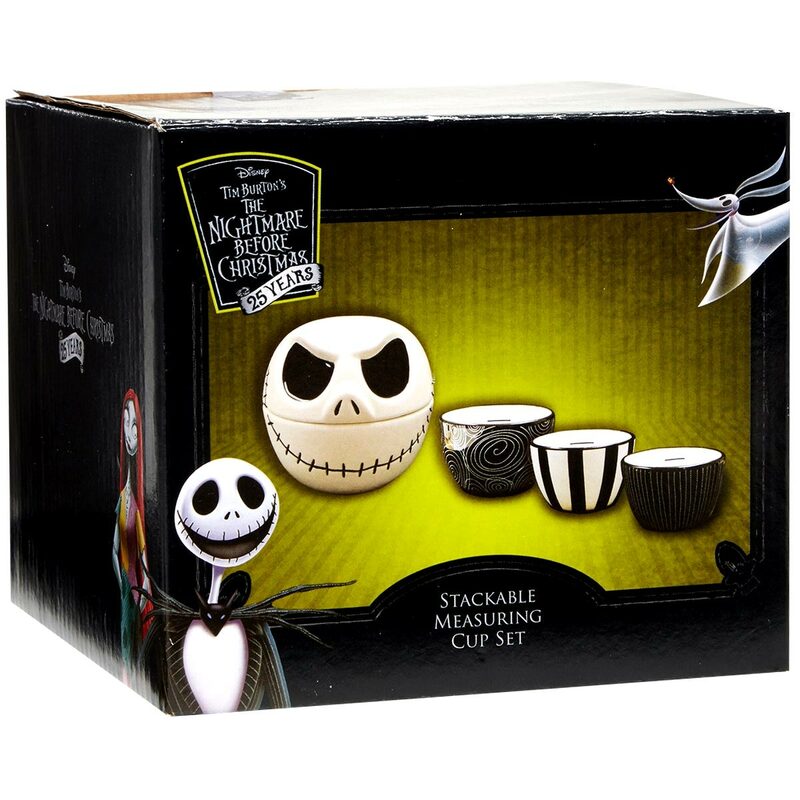 Made of ceramic, this set includes 4 nesting measuring cups and a lid. 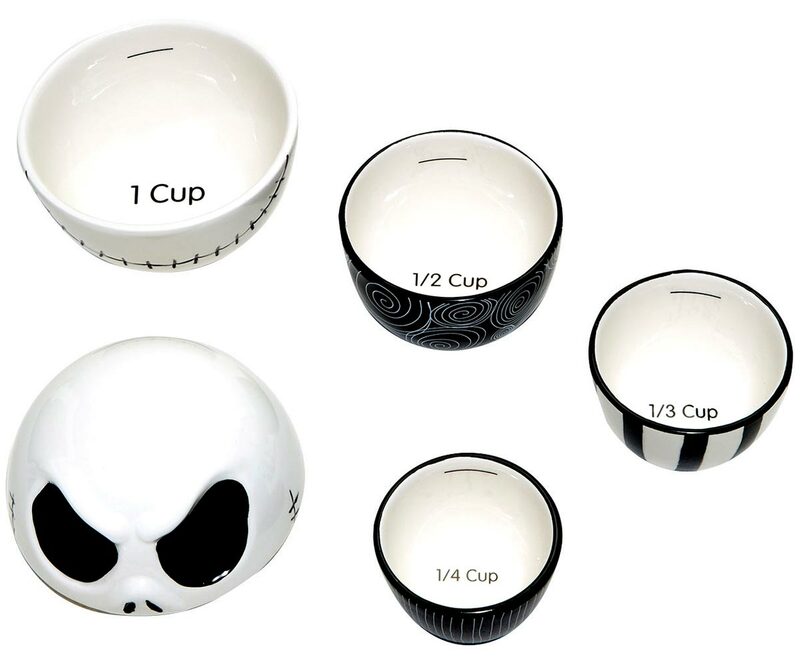 The sizes are 1/4, 1/3, 1/2, and 1 cup. 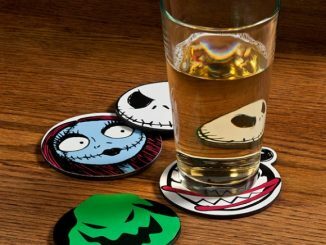 Since they’re made of ceramic, they’re durable and dishwasher safe. 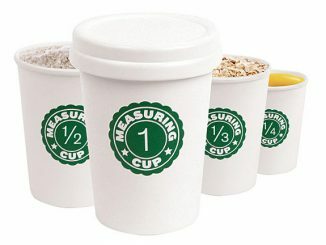 Unlike those metal measuing cups, these are microwaveable. 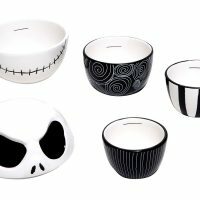 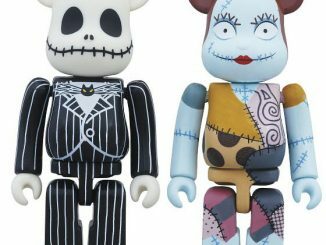 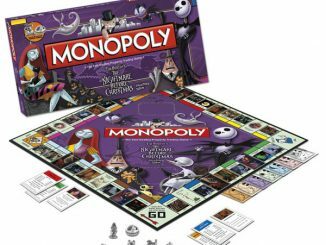 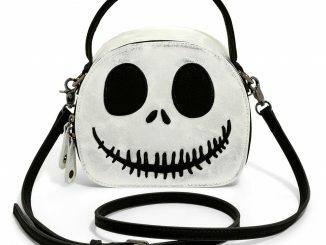 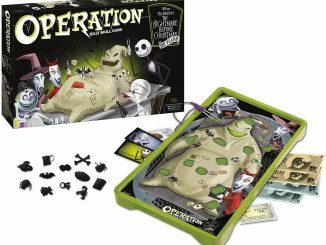 You were probably sold on just the Jack Skellington design, but now you have the practical excuses on why you need these! 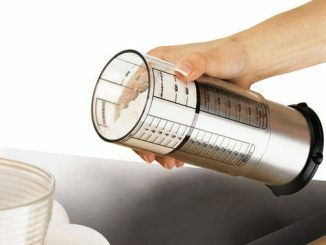 When concocting recipes to capture the spirit of Christmas Town, you should always measure your ingredients accurately. 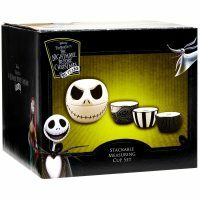 This set of The Nightmare Before Christmas nesting measuring cups features 1 cup, 1/2 cup, 1/3 cup and 1/4 cup amounts. 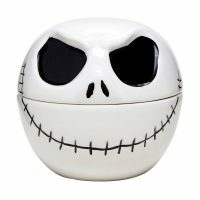 Each cup has a different on the outside, and the 1 cup forms the base with the bottom half of Jack’s face and the lid making his eyes and nose. 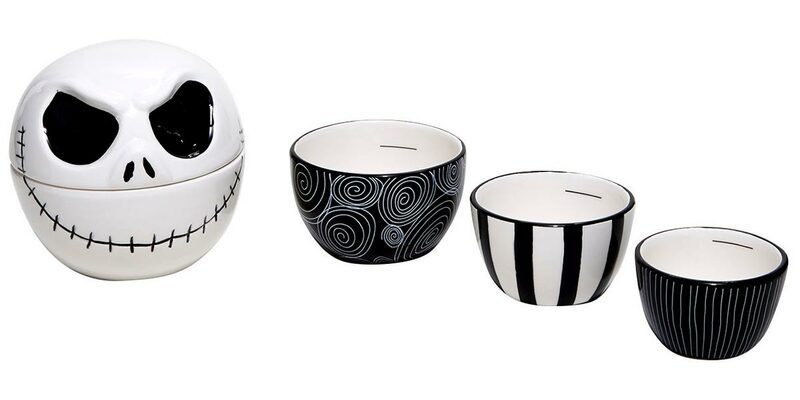 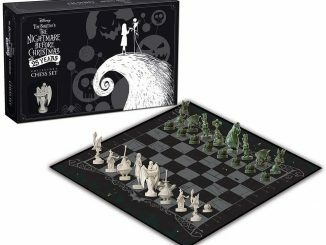 The Nightmare Before Christmas Nesting Measuring Cup Set is sold at Hot Topic for $26.90. 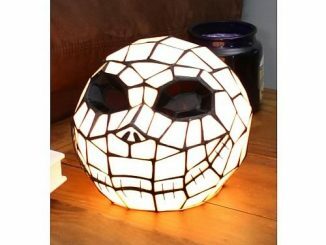 Today (January 22, 2019) it is on sale for 30% off, making it just $18.83. 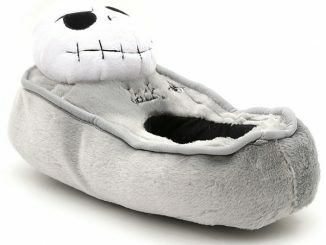 I wish I had that, because I’m a big fan of Nightmare Before Christmas movie. 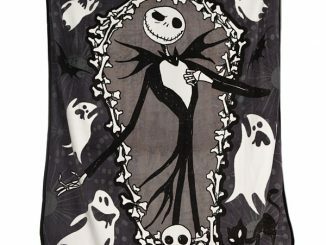 Last year the movie was celubrating there 25th anniversary!